School Information « Homres System Innovators, Inc. The School Info System lets you manage the entire school operations including student enrollment and information, schedule organization, student and teacher evaluation and accounting. 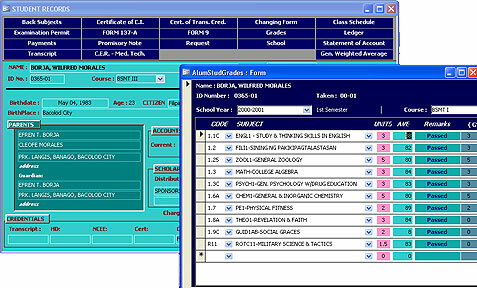 The above screens show entries for course lists and course subjects. Once subjects are assigned to a course and year level, students enrolled in that course are automatically assigned the subjects. Fees are automatically calcuated to make the enrollment process easier and quicker. 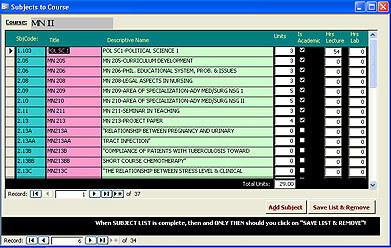 Validating students are handled per course. Each student’s remaining enrolment fee is displayed to let the user check if the registration process has been completed or if the student has an outstanding account. The program is flexible enough to allow students with irregular schedules to choose their subjects. 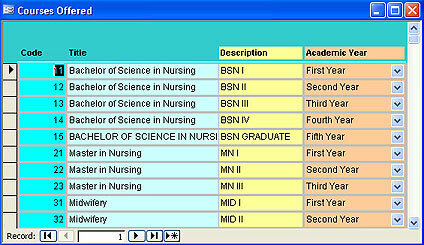 The school info system lets you access each student’s record from one place.